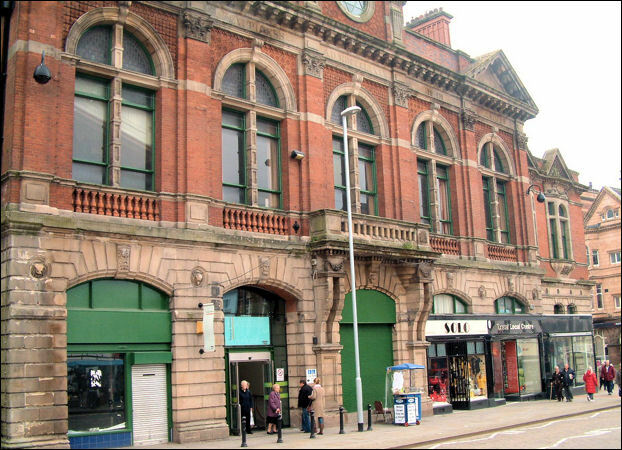 Tunstall was a centre for brick and tile manufacture, and in 1858 it was claimed that at The Tileries there, owned by Thomas Peake, bricks and tiles had been produced for nearly two centuries. By 1817 Tunstall was noted for its manufacturer of 'a superior kind of blue tile'. 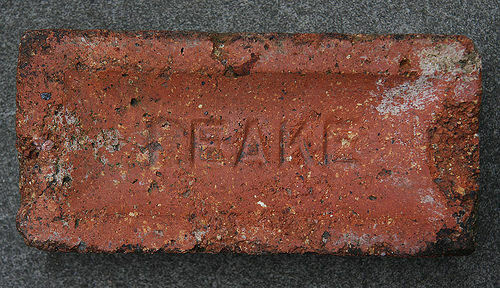 Staffordshire blue bricks were also made and used in paving the side-walks of the newly laid out streets. By the late 1820's Thomas Peak in Watergate Street and Robert Shufflebotham at Clayhills were making bricks and tiles. By 1834 there were 5 manufacturers in the area. 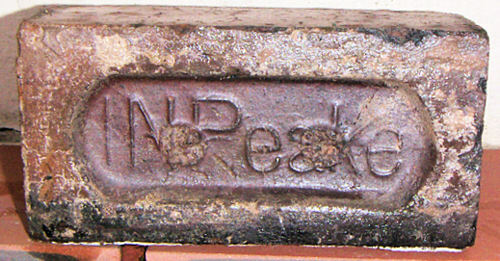 Peake's works were the largest and used steam-driven engines for crushing and preparing the clay. 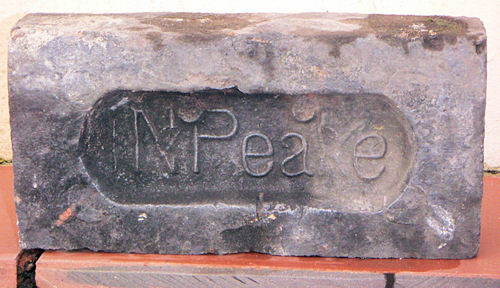 Thomas Peake's son John Nash Peake (b.1837 d.1905) succeeded his father in 1861 - by the time of his death in 1905 he had doubled the size of the works and with 35 ovens and kilns were one of the largest manufacturers in the country. 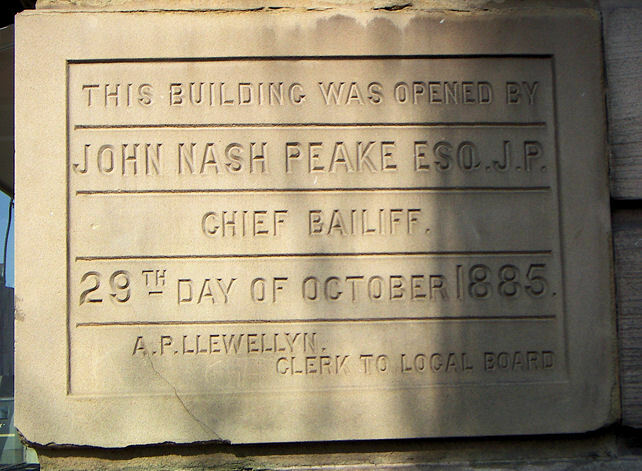 John Nash Peake was a noted public figure and, for many years, was the leader of the Liberal Party in North Staffordshire. These bricks were reclaimed during the demolition in 2008 of Bennett Street in Middleport area of Burslem. These houses dated back to 1875. In 1858 it had an estimated annual output of 1.5 million paving bricks and 700,000 ordinary bricks. A 1951 directory records over 30 brick and tilemakers in the Potteries, but these were probably of no great size apart from Peakes Tileries.